On December 3, 1967, in Cape Town, South Africa, Dr. Christiaan Barnard performed the first successful human heart transplant in medical history. Less than a year later, on August 6, 1968, after three years of drafting, the Uniform Law Commission approved the Uniform Anatomical Gift Act (UAGA). These two groundbreaking events would lead to the transformation of the lives of thousands of patients and their families. Before UAGA was available, American law had fallen so far behind scientific developments that the law threatened to deny Americans the full benefits of the latest medical advances. At the time of the Uniform Act’s approval in 1968, the United States was in desperate need of clarity in the law. UAGA was a revolutionary act. It stipulated for the first time, that an individual, upon death, could donate his or her organs for medical purposes by signing a simple document before witnesses. As easy as this sounds, the Uniform Act represented a departure from centuries of common-law precedent, which held that a body immediately after death became the property of the next-of-kin. That was a major first step. The Uniform Anatomical Gift Act was subsequently adopted by all 50 states and the District of Columbia. In following years, new medical technologies dramatically increased the number of transplants and the demand for organs, resulting in a serious shortage. This caused the ULC to revisit the subject, and in 1987, a new revised Uniform Anatomical Gift Act was drafted to help narrow the gap between supply and demand. The 1987 UAGA simplified the "document of gift" permitting organ donations and dropped the requirement for witnesses to the document. In the absence of such a document, the act expanded the list of people who can act on behalf of a decedent and permit a donation. The 1987 Act was enacted in 26 states. Uneven adoption of the 1987 UAGA and numerous amendments over the years in each state eliminated uniformity. State and Federal law were no longer in sync. The practice of organ donation had changed significantly since 1987, including a rise in the importance of organ procurement organizations. So the ULC revised the act once again, in 2006. The 2006 Act increased focus on personal autonomy in the donation process; it simplifies the document of gift and recognizes driver’s license donation forms. It also strengthens an individual’s right not to donate by permitting signed refusals. The 2006 UAGA makes numerous other changes that modernize the Act. The 2006 UAGA has been very successful, having been enacted in 48 states to date. Delaware, Florida, New York, and Pennsylvania are the only states that have not enacted the 2006 version. Despite the great successes in the field of organ transplantation, a severe organ shortage persists in this country. According to the national registry maintained by the United Network for Organ Sharing (UNOS), there are currently more than 111,000 people waiting for an organ. More than 100 people are added to the nation’s organ transplant waiting list each day – one every 10 minutes. On average, 20 patients die every day while awaiting an organ – one person every 72 minutes. In “Organ Transplantation and the Uniform Anatomical Gift Act: A Fifty-Year Perspective” (Hastings Center Report 48, no. 2, 2018), Blair Sadler and Alfred Sadler, both advisors to the original UAGA drafting committee, write: “During the past fifty years, the UAGA has provided a sound and stable platform on which to base an effective nationwide organ donation system. The cardinal principles of altruism, autonomy, and public trust are important. The original UAGA represented a great achievement in American law, sweeping away the antiquated principles of the common law and the inadequate provisions of existing organ donor legislation, thus eliminating many of the impediments to the transplantation of vital organs. The original UAGA established the principle of consent and voluntary donation – it assumed that a donated organ was a “gift.” Fifty years later, UAGA remains an important act, and an achievement which the ULC should be justly proud. “The core principles of the UAGA are as valid today as they were in 1968. The Act has provided a sound and stable legal platform on which to base a transplant system. The number of transplants has steadily increased, to 38,000 – last year alone, an increase from 5,000 in 1995. Today, more than 141 million Americans are registered donors, which is over 55% of the eligible population. Unfortunately, the number of people waiting for transplants has grown even faster –117,000 last year, of whom 7000 died waiting for an organ. “What are solutions? We must tackle head on – the runaway epidemic of obesity and diabetes which is creating an enormous need for more kidney transplants. In addition, some components of the current decentralized American system do not function optimally. More must be done to improve our system of organ procurement organizations, transplant centers, and donor registries. “We thank Dean Stason and the members of his committee for their great work -- and for the opportunity to work closely with them. It was a life changing experience for us ---and we are honored to have been a part of it. Woodrow Wilson was the 28th President of the United States and a commissioner representing New Jersey from 1901 to 1908. President Wilson served in the Conference while he was a professor of political science and President of Princeton University. He won election as governor of New Jersey in 1910, and two years later became President of the United States. 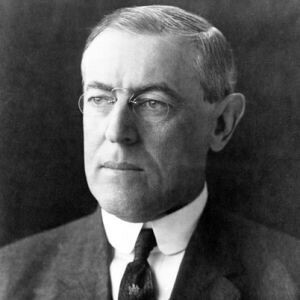 Among the challenges of Wilson’s two terms were passing legislation on antitrust and child labor and managing America’s entry and participation in the first World War. 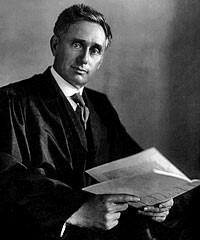 After the Armistice ended the war in 1918, Wilson unsuccessfully pushed for American participation in the League of Nations. The ULC finally came on board the weather control bandwagon in 1958. Minutes from the Executive Committee meeting of that year state: “In his President’s address delivered at the Los Angeles meeting, James Dezendorf recommended: ‘I think we would do well to commence aggressive work on uniform acts on atomic radiation control and on weather control because they are acts which will take time to develop, and I think we must be ready when the need and the market for them crystallizes. It would be better to work on them for four or five years rather than to turn out several acts on minor subjects which would possibly only add to our store of distressed merchandise in the warehouse.’ The Executive Committee considered this suggestion and voted that a Special Committee be appointed to investigate and report on the desirability of a Uniform Weather Control Act. The Chairman of this Special Committee on the Uniform Weather Control Act was, appropriately enough, named Talbot Rain. The irony was not lost on members of the ULC. Though this correspondence shows the lighthearted side of the work, the Special Committee quickly got down to serious business. After two years of study and consultation with a wide variety of organizations, including the American Bar Association, the Council of State Governments, the American Meteorological Society, and the National Academy of Sciences, the committee recommended that their study continue. In 1963, after two more years of study, Talbot Rain sadly conceded that there was no need for a Uniform Weather Control Act. He reported: “At the time the committee was instituted, it appeared that we were at the threshold of considerable activity in this area, and that uniform state legislation might be desirable. To my knowledge, there has only been one Texas case in this area, which was a private suit for damages by one landowner against another who had interfered artificially with the cloud formation. It was thought that, maybe, the control, regulation, or licensing of such activities was desirable or that some rule of negligence or liability to govern private actions was needed. A few states have such legislation at this time. The Executive Committee agreed with this recommendation, and the Special Committee on Weather Control was disbanded. “I believe that when a man wants to eat and drink anything, he should get what he supposes he is getting, and then if he wants to eat it or drink it that is his business. “I don’t know whether any of you gentlemen are in the habit of taking a nip of distilled spirits or not. I do it myself sometimes. You will be surprised to know that 85 percent, at least, of every brand of distilled spirits that is sold in this country today, except, perhaps, those sold in clubs and in some very high-grade restaurants and hotels, is synthetic from beginning to end. Is that right to the man who drinks? It is bad enough, I am told, to drink even the real stuff. What is it when you drink the imitation? Yet there is absolutely no protection. “There are plenty of spirits, but what kind of spirits? Let me tell you. Not long ago, I wanted a glass of beer, as I was thirsty, and I was in a part of Washington that I was not very familiar with, and I passed a place where I thought I could get a glass of beer, but as I got to the door I did not like the looks of the people in the place and I passed along further where a saw a place of very inviting appearance and I went in. The class of customers did not seem any better, however, than they were in the other place, but I wanted my glass of beer, and I remained. “There were two men who had ordered whiskey, and they had each a glass as big as a water glass, and they filled their glasses and drank the whiskey and then drank a glass of beer on top of it. I said to myself that those men, and they were laboring men in appearance, must be giving their whole wages for this drink. They had in the saloon one of the cash registering devices that rings up the amount of each purchase, and I saw that the charge for each man was five cents. What kind of a drink do you suppose it is that be sold for that price? “Well, on the other hand, take the high-grade man. What does he get for his money? He goes into a high-priced place and he calls for whiskey, and he is handed out a bottle of whiskey that is advertised as being twelve or fourteen years old. What he gets, however, is whiskey made the day before out of a barrel of spirits taken out of bond and diluted with water, colored with burnt sugar and prune juice and flavored with artificial essences. Especially is this true if it is Scotch whiskey. “I have in my possession a large number of bottles of essence of Scotch whiskey and with directions for making it. You know how popular Scotch whiskey is nowadays, especially in clubs and hotels. I have looked into the statistics and I have found that the quantity of spirits imported last year from Great Britain was less than 600,000 gallons. That included alcohol and brandy. Why, do you know that would hardly supply the Scotch highballs that are drunk in the United States in a single month. And this Scotch whiskey is made in the same way that I have prescribed, by adding some of this essence, which is principally creosote distilled from wood to give the burnt flavor. “Creosote is a very fine preservative, and if people drink enough of it their bodies will not decay when they die. Even after listening to Dr. Wiley’s persuasive argument, the ULC decided not to draft a pure food law. The United States Congress did, however, and the ULC officially endorsed the federal act in 1909. It was later adopted in two states.